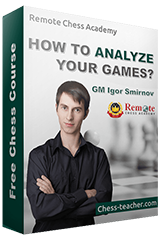 So you love chess and want some additional income out of it? Or you dream of a professional chess career? GREAT! You came to the RIGHT place. You can join our Team of Remote Chess Academy – the world leading chess teaching company. As the name of the position suggests, you will manage other people and coordinate realization of a certain project. RCA realizes a lot of “projects” like organization of online tournaments, translation of our courses to other languages, creation of new training platforms and features and so2300 on.Please, describe your skills and preferences in details, and we’ll be able to find a suitable project for you. “Manager” is a higer-level position that implies a greater lever of responsibility and benefits. Experience in organizing events and/or managing other people. Familiarity with RCA free lessons and paid courses. Ability to work and to stay in touch regularly (for instance, to check e-mails several times per day). The tasks for this position are mostly all about proof-reading and editing chess-related texts and lessons. If you have a good command of English language, feel free to apply. Experienced computer user, familiar with RCA lessons and paid courses, and good knowledge of common chess programs and internet chess resources. Making graphical menus (Autoplay Media Studio or another program). This one is pretty self-explanatory. You will translate our lessons to another language. Readiness to allocate at least a few hours daily for this work. If you think you are good at answering questions through emails, moderating comments, etc., this is a position you surely want to apply for. Experienced computer user (familiar with common chess programs). Intermediate or good command of English. Readiness to work 6 days per week (a few hours per day). As an Affiliate Marketer, you will contact various chess related websites in any language to persuade them to register with our Affiliate Program. The ultimate aim of this position is to bring quality Affiliates to us, which in turn brings quality traffic to our website. Able to find good-quality websites in your language or languages. Enthusiasm to contact different kind of websites. If you have some other skills (ideas/propositions), and think you can bring a valuable contribution into Remote Chess Academy – feel free to contact us and describe your ideas.